Well Michelle Schroeder-Gardener shares her tips on how she made over $1,500,000 blogging last year alone! 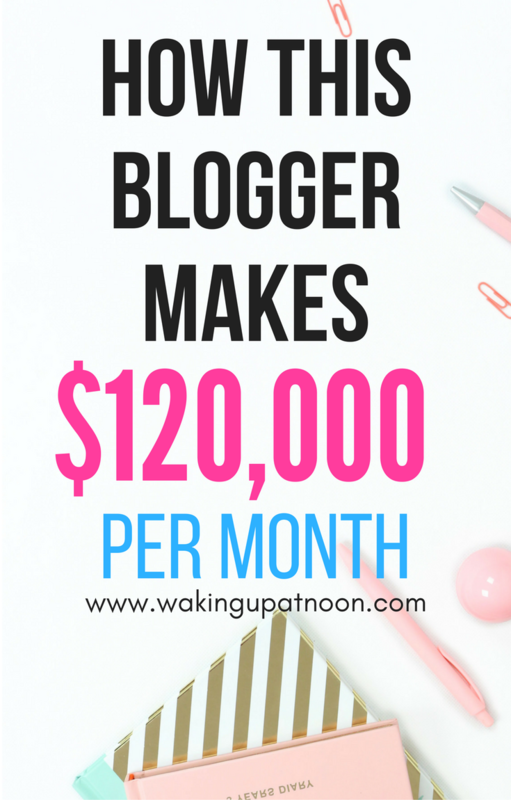 That number may seem crazy high at the moment, but here are things you can start doing TODAY to make money online with your blog or business. 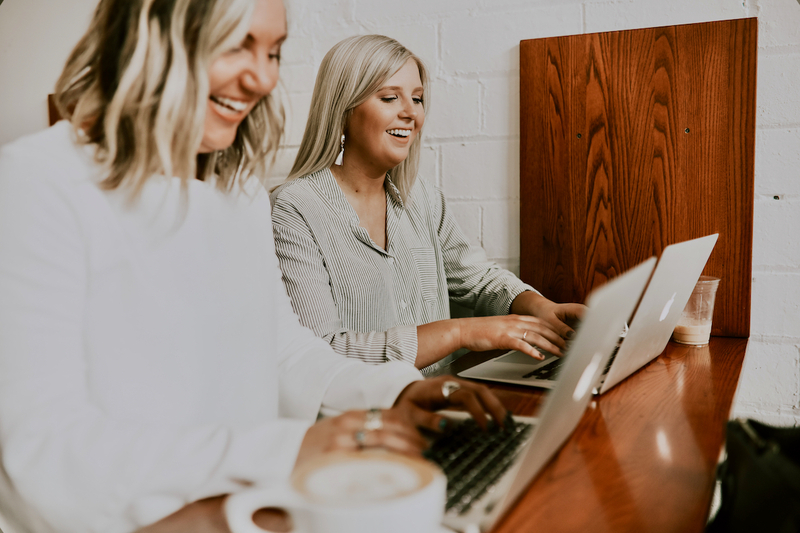 Affiliate Programmes are a huge source of income for many bloggers and there are affiliate courses for every niche, so if you're not making affiliate income with your blog, you're missing out on some huge money! Michelle made $44,660 from Bluehost last month, which is an online hosting site that every blogger should be using. Bluehost offers the cheapest hosting for your blog from $3.95 per month and is a must-have if you're serious about blogging. Bluehost is better than a free hosting site because you can run any of your own advertisements and it looks a lot more professional to companies and advertisers if you have a self-hosted site on Bluehost rather than a cheap one on Blogger, which can give a lot of difficulties when it comes to advertising and making money. Click here to get started with Bluehost today. Michelle also runs an AMAZING course called Making Sense of Affiliate Marketing. I recently purchased the course myself and it was the best investment I've ever made for my blog. I had no idea where I was going wrong when it came to affiliate marketing and making money with my blog, but Michelle goes into so much detail in the various chapters and I learnt about things I never even knew I needed! Purchasing courses may seem like a bit of pain and you might think, 'can I not just find this stuff on the internet?' The answer is nope. I spent months searching for helpful sites for making income from my blog and I found nothing compared to the amount I've learnt from Michelle's course in two days. If there's one way to be successful in affiliate marketing, it's educating yourself from the best! Michelle makes $50,000 per month from her affiliate marketing course. Click here to access the Making Sense Of Affiliate Marketing ecourse. Survey Companies are another great source of affiliate income, or even a great way to make some money on the side while you're setting up your blog! Michelle made $12,982.50 from online Survey affiliates last year. The best free online survey sites are: Swagbucks and American Consumer Opinion. If you've established your blogs' niche you can begin to reach out brands and companies that you think would be a good fit for your blog. I personally haven't had much luck with this route and have focused more-so on affiliate marketing, but as your readership and traffic grows, you can approach more blogging agencies and companies about potential partnership. Michelle made $10,000 from sponsorships last year so although it's not as profitable as affiliate marketing, it's still a great way to work on your side hustle! Once your traffic is up to 100,000 readers per month, you can join higher paying advertisement companies that pay a lot more than google such as AdThrive and MediaVine. Display advertising is when you display banners and ads for companies and brands to promote their products or services. Again, this will mainly happen when you contact a company to work with them or they reach out to you to place advertisements on your site. Check out these 14 helpful resources for all bloggers in every niche. Convert Kit is an email marketing service that helps you send out new posts to your emails subscribers lists (if you don't have a email list, start one NOW!) You can send new articles on your blog or links to affiliate products or courses via email that you think your readers would be interested in, which then leads to extra affiliate income. ConvertKit is really simple and cheap to use and is essential in your affiliate marketing strategy. Click here to get set up with ConvertKit. Pinterest is the main source of blog traffic for many bloggers, but it can be very time consuming having to manually pin pins yourself, that's where Tailwind comes in. In Tailwind you can schedule as many pins as you like on the Plus plan, again this is a MUST HAVE if you want to get high traffic from Pinterest. My traffic blew up after I started using Tailwind and it's the second best investment I've made for my blog. Click here to try Tailwind for free. Sign Up for the Making Sense Of Affiliate Marketing Course here.